This simple diagram explains the invisible forces behind automated wealth and power, and if you take it seriously, I believe it can give you more than $1,000,000 in the next year. What I have to share can help you increase your income, lifestyle, and prestige. Once you learn and apply it, you can never go back to your old way of life. To best understand, it’s important I start from the beginning. Recently, the president of Nightingale-Conant approached me and asked if I would do some research on a new product idea presented to them. My name is Joshua Boswell, and I am a professional writer and researcher. This president thought I had the unique skills that qualified me as the right person for this unique project. I was asked to interview the force and mastermind behind this new product idea. But calling it a “product” is selling it far too short. It’s so much more than anything I have ever been exposed to before. I flew to Canada for this interview, and it wasn’t long before I found myself welcomed into the home of this amazing man. I could see he lives a life in total harmony and integrity with the principles he teaches. He builds companies, gives away millions to help others, and is perfectly genuine, honest, and sincere. If you were to meet him, you would instantly feel how much he cares for you. He is a man who honestly wants to help, and he knows he can. “Most people say you have to work long hours and give up everything that’s important to you to become really wealthy. But, it’s not true. “The truth is,” he continued, “you can, and should, make time for the most important things first. Then you see how much time you have left over. Using that time, you can create any amount of wealth you desire... and you can do it automatically... if you know the 7 Laws of Wealth. This diagram represents one of the Laws. Why Have You Been Carefully Selected? If the data I’ve been given are right, we have something very powerful in common. Your answer to one question will tell me if I’m right. If I am, then I encourage you to read the rest of my story very carefully. I am confident it will change your life and bring you great riches, happiness, and peace. Do you believe in the power of the unseen? I mean, do you sense that there are invisible forces... unlimited powers that flow in and through and all around you? And, what’s more, do you find yourself going half crazy wondering why you haven’t been able to tap or control these forces to increase your wealth, deepen your happiness, and expand your peace? I, for one, believe that there are invisible forces all around us. Like the heat that radiates from a fireplace on a cold winter’s night... you can’t see the heat, but you feel it. It’s real. It’s powerful. I also believe that there are two kinds of people in this world: those who are helplessly moved and pushed and pulled by these invisible forces... and those who command them. This gentleman commands and gets anything he wants in life. There are others, too. How about you? These invisible forces contain all the answers to every question you can imagine. Would you like to know how to make a million dollars sitting at your kitchen table? The answer is there. Others have done it. If you knew how, you could do it too. So, he taught me that these invisible forces are controlled by 7 Laws. The only thing stopping you from tapping into this unlimited stream of power and wealth is ignorance. If you don’t have everything you’ve ever wanted in your life, it’s because you simply don’t know how to access and command this power. I didn’t either, not at this man’s level. At least not until he drew a diagram for me of one of the 7 Laws of Wealth at his kitchen table. “Each circle is your mind at different stages. 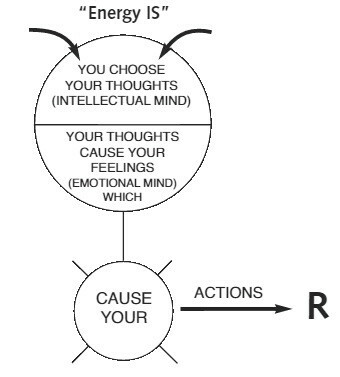 Everyone knows your mind has two parts... the conscious and subconscious. What people don’t know is that your subconscious holds a set of blueprints for every aspect of your life. Your income. Your relationships. Your health. Your happiness. There’s a blueprint for everything. “The invisible, unlimited forces in the universe read the blueprint and automatically build your life according to the code. It gets built exactly the way your mind tells it to. If your blueprint calls for abusive relationships, that’s what you get. If it calls for $1,000,000 income, that’s what you get. It happens automatically and never varies. “Let’s say one day you wake up and aren’t happy with your life. Maybe your neighbor drives up in a new BMW and you only have a Hyundai. You want better. “So, you go out and try to change things. You buy some books, listen to positive talk programs, attend seminars, and work longer hours. You get really smart about goals and success. But, for some reason, it just doesn’t work out. “Every time you try to get ahead, some mysterious force pulls you back. You feel trapped, stuck, and angry,” he tells me. Again, I found myself nodding my head. That exact thing had happened to me dozens of times. I remember a number of years ago when I first started my young family and we had finally pulled together an extra $1,500 for a family vacation. The next morning we woke up to a burst water main. It cost $1,553 to repair. I’m sure you’ve seen the same thing, right? I was being pushed around by an invisible force that I neither understood nor controlled. It was so frustrating to me. He then made a second drawing. “That is why really smart people usually don’t get results or reach their dreams. They know what to do. They’ve been to the seminars, read the books, and done the affirmations... but nothing happens. They’re stuck. “If they don’t change the blueprint, nothing will ever change. No matter how smart they are in their conscious mind, the invisible forces working through their subconscious mind sabotage all their efforts. Then he looked me square in the eyes. I did think about it... very hard. “OK, Bob, so how do you get past the barrier? How do you install the new blueprint?” I asked. “Joshua, Earl Nightingale was one of the greatest personal development experts in history. He spent more than 50 years researching and studying these invisible forces. I believe he knew better than any man alive how to command unseen powers. With this insight, he was able to spawn the entire personal development market we enjoy today. “His first spoken-word program was called The Strangest Secret. It sold well over one million copies and reached Gold Record status. His work has been copied, repeated, and repackaged thousands of times. His message changed the lives of millions of people... but none more than mine. “In 1959, at the age of 26, when you, Joshua, were not even born, I was working as a firefighter, and dead broke. What’s worse, I was mentally and emotionally broke. A friend of mine gave me a vinyl record set called Lead the Field, by Earl Nightingale. It was an expanded version of the bestselling program The Strangest Secret. “I listened to it dozens of time. And, I applied it in my life. Within five years, I was running an international business and making more than $200,000 a year. Back then that was a lot of money; it’s about $2 million in today’s dollars. Not bad for an uneducated firefighter, don't you agree? “The problem was... I knew Earl’s stuff had worked, I just didn’t know why or how. I felt as if I’d won the lottery. My success felt random and uncontrolled. It scared me. “There was something else that bothered me... I had this strange feeling that Earl’s message was not complete. It was almost as if he was hiding something inside the program... something that would not only let me get rich, but would let me take command of these invisible forces that were controlling my life. Invisible Forces in Your Life. “Earl and I sat down in his office. He was delighted to hear of my success and my connection with Lead the Field. “He also wasted no time confirming that there was a whole new level to Lead the Field... a much deeper meaning. There were secrets to success and to controlling these invisible forces that he did not feel people were ready for... but that he wanted to document. His solution was to secretly embed them inside the program. He veiled them in a series of stories and symbolic messages. “For example... inside Lead the Field, Earl directly and specifically talks about one of the Laws of Wealth. He calls it The Law of Cause and Effect. “But, in reality, there are 7 major Laws of Wealth. Earl teaches about all 7 Laws, but he does it in secret. If you don’t know what to look for, then you miss them altogether. “I really wanted to know all 7 Laws, but he refused to give them to me outright. He felt strongly that the world was not ready for them. Instead, he offered to personally mentor me. To do this, he gave me a job at his company, Nightingale-Conant. “People thought I was crazy because it was a massive pay cut, from $200,000 to $18,000 annually. I knew it was right... and I knew it would pay off in the end... so I did it. Earl promised that as we worked together, he would give me the key to understanding the secrets hidden in Lead the Field. “I worked with Earl for just over five years. Over time, he transferred the key to his deeper meanings to me. But, much like a treasure map, just having the key is not enough... you have to discover how the map works and then actually go find the treasure. “So, I began a 40-year journey of discovery and application. I’ve now listened to the Lead the Field program thousands of times. I’ve taught millions of people all over the world how to take command of unseen forces. As you know, I’ve even been featured on programs like The Secret, and I’ve written almost a dozen books. It’s been an amazing journey. “But, I’ve never sat down and gathered all of my secrets in one place. I’ve never taken my insights of the past 40 years and laid them on top of Earl’s original Lead the Field program. Earl gave me the key to unlock the treasure map, but I’ve never fully shared the treasure with the world. Bob speaks all over the world, helping millions of people harness unseen powers to create automatic, secure wealth. Bob’s speaker’s fee for a single event could buy a luxury car. His products and services command top dollar worldwide. Why? Because his message is that valuable. What you may not know is Bob used to work for Nightingale-Conant. He worked closely with Earl Nightingale and was an avid and dedicated student of Earl’s. He still considers himself a student. Bob has spent his entire life expanding on Earl’s remarkable works in order to come up with what we consider to be one of the (if not the) most effective, applicable programs ever created in this industry. Since the day I left Bob’s home and contemplated the massive paradigm change that was beginning to happen to me, I was able to convince Vic Conant, Chairman of Nightingale- Conant, to combine Bob’s team and the Nightingale-Conant team to organize Bob’s 7 Secrets of Wealth into a program that will transform your life. And, Bob should know. For more than 50 years, like Earl, he has been researching and studying everything he can find on this subject. Let’s look inside this revolutionary new program and show you what’s in store for you. The most exciting part of Bob’s new wealth-training program is that by revealing all of Earl’s secrets, he has given us a perfect understanding of how to take command of the unlimited, unseen forces. For more than 30 years, Bob researched every aspect of Lead the Field. He has unlocked every hidden principle of wealth and success that Earl concealed with stories, anecdotes, and symbolic messages. Through a series of 24 exercises, Bob transfers each principle of power to you. This new system (it’s too powerful to be called a program) builds on actual messages from Earl, and then Bob explains the deeper, hidden meaning of each message. Then, he takes you even further by giving you very simple activities that help you install a new blueprint into your subconscious. This is what creates a lifetime of automated wealth and success. Bob’s masterful teaching gives you the power to take command of the invisible forces that surround you. It allows you to stop being pushed and pulled and start getting everything you want in life... automatically and on demand. This is a powerful promise and one that Earl delivered on many times in his life. Most people have no idea what they want. In fact, they don’t even know how to know what they want. "So long as I get somewhere," Alice added as an explanation. Far too many people on planet Earth are working hard to get somewhere... but going nowhere, right? Inside Commanding the Laws of Wealth, Bob gives you a simple five-minute exercise to clearly and confidently determine what you want. He then he shows you how to achieve that goal automatically and rapidly. And, remember, once you are exposed to this Law and install a new blueprint, you can never go back to your old way of life. You’ll be forever richer and more successful. You’ll be the Master of your destiny, in full command of the unseen powers at work in your life. I have placed a number of quotes and success stories of people just like you who have worked with Bob over the years. Their stories clearly tell how powerful these Laws of Wealth are at creating true success. Would you like to join these people? You can... and I think you should. That’s why you’re reading this private invitation. I’d like you to be among the first to experience Bob’s new program. Now, let’s look at some of the other Laws and Secrets you’ll discover inside Commanding the Laws of Wealth. Nine years of research, revealed this... It’s a stick figure. 2 circles, 7 short lines, and 1 long line. If you saw it outside this program, you’d ignore it and say it is nothing. But, when Bob reveals its secrets to you, this “stick figure” brings order to your life. It becomes the conduit of knowledge that unlocks unlimited power inside of you. It took Bob nine years to discover this, but he gives it to you instantly. Have you ever tried to “alter your attitude”? Even if you have the willpower to do it, the question for most is, “What should I ‘alter’ it to?” Just saying that you’ll be more happy and positive is not enough. You need to know how the unseen forces operate... and how you can command them. Bob gives you a 7-part formula that anyone can do (he’s taught elementary kids to do it, and you’re smarter than that, yes?). This formula does take a bit of effort to implement... but don’t be alarmed. It’s much like riding a bike, because once you have it down, you’ll never lose the ability to alter your attitude in an instant. In fact, this success mechanism keeps on working for you day and night, without any thought on your part. More power in your pinkie than in New York City... Did you know that scientists have proven that the stored energy in your little finger could easily run New York City for an entire day... and more? You are a being of power with unlimited potential. The great tragedy of our day is that most people sense this, but don’t have a clue about converting all that potential into riches, happiness, health, and success. If you do, strange and marvelous things will start happening to you on a regular basis. Every obstacle contains the seed of wealth... No matter who you are, if you’re alive, then you face obstacles, troubles, and concerns in your life. No one is immune to that. Did you know that energy is neither good nor bad? It just is. That means that every obstacle or challenge in your life can be instantly turned around and be made to give you good things. It all depends on how you channel those unseen forces. Then Bob shows you what I call Spiritual Jujitsu. I’m sure you know that one of the keys to success in jujitsu is rechanneling your opponent's force back on him or her. In this way, small, weak people can easily master opponents five times their size and strength. From now on, you will have this same ability. No matter how big the problem you face, this technique lets you re-channel the energy for your personal good. The destructive myth behind goals... We have all heard that goals are vital to our success. And that is true. But, 99% of the gurus out there fail to give you the “missing ingredient” to make goals actually work. This is like forgetting to add air to a car tire. Your goals are flat and useless. And, if, by some great force of willpower you actually go somewhere on those flat tires, you’ll never be able to coast. It will be hard work your whole life. It doesn’t have to be that way. Bob gives you the “air” for your tires so that you can roll down the road effortlessly and smoothly. Plus, once you’re up to speed, very little, if any, effort is required to rapidly move forward. Your five senses are crushing your wealth... Did you know that 97% of the population is conditioned to live through its five senses: taste, smell, hearing, sight, and touch? It is one of the most dangerous things you can do. Why? Because the invisible forces control the physical world and not the other way around. If you live by the five senses, you will be forever tossed about and battered by the unseen. Bob gives you the secret to stopping the madness and the pain. Maybe you’ve heard that “applied knowledge is power.” This, too, is a nice catch-phrase, but is dangerously inaccurate. If you follow this belief, you’ll spend all your days trying to learn the right stuff and work very, very hard to put it to use. I know countless brilliant people who have died broke, with their songs unsung because they bought into these kinds of myths. The reality is that knowledge of any kind is useless... or even damaging... if it conflicts with your internal blueprint. Conscious thoughts and intelligence have no connection to the unseen forces. Until you change the blueprint, your intelligence only works against you. The key to installing a new blueprint... The key to installing a new blueprint is simply this: Emotion. You’ll find two words that change everything... Yes, just two words. Bob gives you two words that activate the famous “Law of Vibrations” that you have heard about. He came back a day later with the solution to a financial problem he’d been working on for a couple months. It created instant results for him... and could do the same for you. 92% of your energy is drained and wasted because of this... Do you realize that you’re likely only using about 8% of your energy to make money, have fun, build meaningful relationships, and enjoy life? The rest of your energy is being wasted because of this one thing that we are taught to do from our earliest years. It’s common among almost all nations and cultures. It is the greatest thief in the universe, yet we welcome it into our lives as we would a close friend. This villain can be easily banished with a single exercise that costs you less than seven hours in a week. Dr. Ken McFarland stated that only 2% of the world’s population knows of, or will do, this easy exercise. You will now be one of them. You now can use 100% of your energy to create wealth and happiness. Take any amount of money and happiness you have in your life now, and times it by a factor of 98... that is what Bob has in store for you! Turn your ANNUAL income into your MONTHLY income... It’s a simple, but radical idea. Just imagine for a minute how your life would be different if you could really do it! Well, you most certainly can. Bob devotes two specific lessons to giving you the secrets and blueprints for turning your annual income into a monthly income. For a limited time only , Nightingale Conant customers get an exclusive 70% off the full price of $1,699.95. Bob Proctor's information alone is virtually invaluable, selling for as high as $10,000. Combined with Earl Nightingale's ideas, Commanding the Laws of Wealth is literally priceless. Invest $499.95 in one of most effective programs ever created by Nightingale-Conant and your life will never be the same. 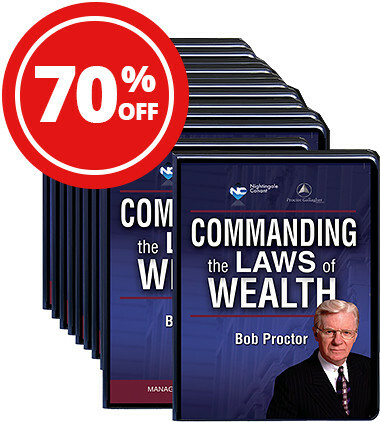 Yes, please send me Bob Proctor’s Commanding the Laws of Wealth for $499.95 — that’s 70% off the regular price of $1,699.95. I understand it comes with 6 life-changing, paradigm-shifting, fear-shattering audio CDs, along with 12 subconscious-rattling PDF guidebooks and the complete digital download sent after 30 days so I can access this life-revolutionizing information anywhere. I know Bob’s entire system is not designed to inform; it’s designed to transform. Your Satisfaction is 100% Guaranteed: If the impossible happens and I’m not completely transformed, I understand I can return the program within 30 days for a complete refund of the program price. I also understand both Bob Proctor and Joshua Boswell believe in me enough to know returning the program is not likely. My friend, I could go on for hours, telling you about this program. The impact it has on my life is astonishing. One of the things that I love the most is that Bob and his team have scientifically designed this entire program to automatically install a new blueprint in your subconscious. They have combined the best of science that shows how your mind works, with more than 50 years of Bob’s practical, direct experience in using and teaching these Laws. For example... everyone knows that you cannot get “something for nothing.” That means for things to change in your life, you will have to do something. But, old ideas that say you have to “work harder and longer” to get everything you want in life are irrelevant in today’s world. Bob created a series of very easy activities and exercises that sidestep your conscious mind and get you past the barrier. A new blueprint gets automatically installed as you listen and take easy action. Plus, Bob tells you exactly what is going on, how it works, and why so many wonderful things seem to be magically happening in your life. Audio Program — 12 paradigm-shifting audio sessions on 6 CDs, each audio CD in its own case for ease of access and use. Plus, you get a digital download in MP3 format of the entire program. That means you can install your new blueprint anywhere you are, any time of day. It also means that you can access it with a wide range of devices... your computer, your tablet, your laptop, your car stereo, your smartphone, or just about any media player. Comprehensive Guidebooks — 12 mind-engaging PDF guidebooks on 6 CDs. Much of the Commanding the Laws of Wealth system must be seen. Bob uses more than 50 diagrams, charts, and other visuals to help you understand — and apply — each Law. Plus, there is ample space provided for notes, insights, and action. All of this is also available in your printable digital download. Your investment for this program may seem shocking, but compared with what Bob typically charges, it’s a fraction of the cost. I honestly had to beg him to allow Nightingale-Conant to sell this one-of-a-kind, mega-wealth-making program so far below his pricing. He did ask that we allow this offer be given only to Nightingale-Conant customers, which Vic Conant gladly agreed to. First of all, there is no other system like this in the world. Nightingale-Conant has combined Earl Nightingale’s more than 50 years of experience and wisdom with Bob’s more than 54 years of teaching and implementing these Secret Laws of Wealth. No other program, system, or seminar contains so many years of proven experience. There is nowhere else that you can find these 7 Laws as detailed by Earl Nightingale and explained by Bob Proctor. For many years, Earl was called, “The President Maker.” Why? Because those who followed him would quite often end up as presidents of major corporations (often their own), making millions each year. You will not be surprised to note that Bob regularly gets paid more than $50,000 for a single one-hour speech. But, the biggest value in this program is in its power to affect your life. Based on all this, it will shock you to note that Bob is giving you the entire program... for $499.95. Honestly, this is pennies compared with the value you’ll get. This is one investment that is well worth every penny. Let nothing get in the way of your getting your hands on this program as soon as possible! As I said before, Bob Proctor is one of the most genuine, honest, and sincere human beings that I have ever known. Plus, you know that Nightingale-Conant has a spotless 53-year history of delivering the best personal development products in the world... always backed by a no-questions-asked 30-day guarantee. If you feel that Nightingale-Conant has not delivered on the benefits and promises I’ve outlined today, then, please, request a full refund. The company will refund every penny you’ve invested in this program. No questions asked. While I was at his house, I asked Bob to tell me about his customer-return rates. I saw the numbers and can tell you that Bob Proctor enjoys the lowest returns of any company I’ve ever heard of. This is because of Bob’s integrity. He insists that all of his products must over-deliver and give much more value than people invest. He believes in the Law of Abundance and lives it to the fullest by giving abundantly to everyone he deals with. And that includes you. If you have read this far, then I was right... we do have something in common. We both believe in the power of the unseen. And, we are both hungry to command those forces instead of letting them push us around. If there are truly forces that flow in and through our lives, then it’s no coincidence that you are reading this. A great doorway has opened up for you. You now stand at the threshold — a crossroads of sorts. Inside you, at this moment, is a blueprint for every aspect of your life. Because of this, a certain level of wealth, happiness, and fulfillment is automatically flowing to you. But, is it all that you want? I’m sure you’re grateful, but are you truly satisfied? If not, then it’s time to make a decision. It is time to accept Bob’s offer to unlock the 7 Secret Laws of Wealth. It is time to install a new, powerful blueprint in your life. It is time to unlock your untapped potential and enjoy all the wealth and happiness that is available to you. Now is the time for you to wake up and stoke the fires of your soul. 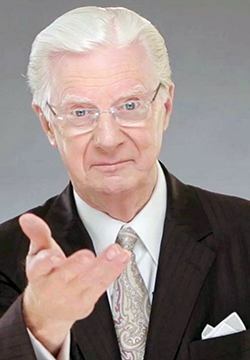 I believe that Bob Proctor, more than any other man on the earth today, can help you do that.